You are here: Home / Who Made God? As we have seen, the Law of Causality is the very foundation of science. Science is a search for causes, and that search is based on our consistent observation that everything that has a beginning has a cause. In fact, the question “Who made God?” points out how seriously we take the Law of Causality. It‘s taken for granted that virtually everything needs a cause. So why then ­doesn‘t God need a cause? Because the atheist’s contention misunderstands the Law of Causality. The Law of Causality does not say that everything needs a cause. It says that everything that comes to be needs a cause. God did not come to be. No one made God. He is unmade. 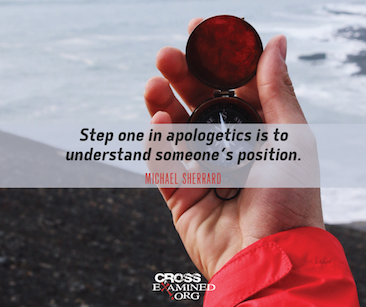 As an eternal being, God did not have a beginning, so he ­didn’t need a cause. The problem for the atheist is that while it is logically possible that the universe is eternal, it does not seem to be actually possible. For all the scientific and philosophical evidence (SURGE– Second Law, Universe is expanding, Radiation Afterglow, Great galaxy seeds, Einstein’s GR– radioactive decay, and the Kalam Cosmological Argument) tells us the universe cannot be eternal. So by ruling out one of the two options, we are left with the only other option—something outside the universe is eternal. When you get right down to it, there are only two possibilities for anything that exists: either 1) it has always existed and is therefore uncaused, or 2) it had a beginning and was caused by something else (it can’t be self-caused, because it would have had to exist already in order to cause anything). According to overwhelming evidence, the universe had a beginning, so it must be caused by something else— by something outside itself. Notice that this conclusion is consistent with theistic religions, but it is not based on those religions— it is based on good reason and evidence. * personal, in order to choose to convert a state of nothingness into the time-space-material universe (an impersonal force has no ability to make choices). These characteristics of the First Cause are exactly the characteristics theists ascribe to God. Again, these characteristics are not based on someone=s religion or subjective experience. They are drawn from the scientific evidence we have just reviewed, and they help us see a critically important section of the box top to this puzzle we call life.